Or: How to get from a dream to 19 scholarships in under 3 months. A Summer of Code sponsoring 10 teams of students from all over the world working on Open Source projects full-time for three months. Sounds like a great idea? Why of course it does! It’s the idea of Rails Girls Summer of Code: To support women who fell in love with programming, for instance at a Rails Girls Workshop and want to spend their summer coding full-time. As Travis CI has always been deeply rooted in the community, supporting this project with all our hearts has been a no-brainer for us! 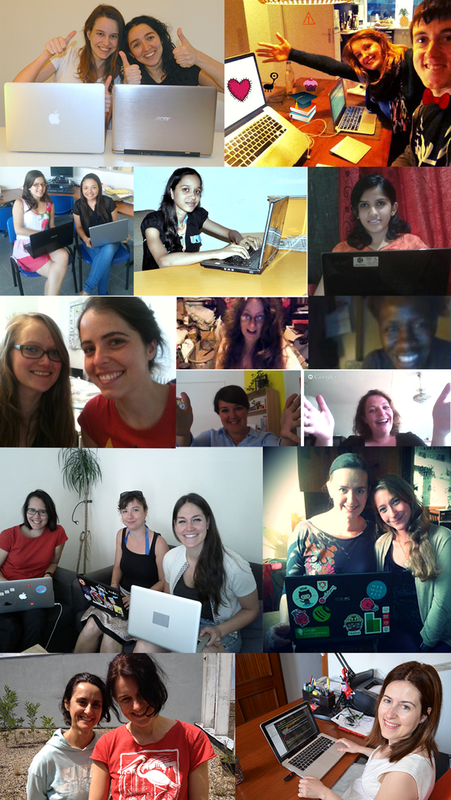 We are old Rails Girls friends: We have been dedicated to their projects and ideas from the beginning. Josh, Konstantin and Sven have coached and talked on various workshops and have been especially involved in the Berlin Chapter. Sven even started the programming group ruby monsters, who have met every Monday for a year now. So for us a Rails Girls Summer of Code (RGSoC) meant a Summer of Code with all our help. Because everybody was so fascinated by the idea, Sven gave a lightning talk at a Rails Girls Berlin workshop at Wooga in late March and the idea immediately spread like wildfire. A whole new team formed, rolled up their sleeves and started to build a project out of an idea. All those fantastic people who sponsor, help, coach, mentor and organize in their free time to build this project have done an unbelievable job! Rails Girls Summer of Code now provides 10 sponsored teams and 8 volunteering Teams with the chance to dive deeper into coding and to get in touch with the amazing Open Source community. On top of that it gives the Rails Girls movement a longer-term goal of supporting women in technology and role models: Being the first Rails Girls students who make meaningful contributions to projects like Rails, Sinatra, Bundler, Spree… we think they’ll inspire many others with their stories. Over 140 students applied from all over the world. Over 280 people & companies donated for the campaign. Sponsorships from amazing companies have sponsored the program. Amongst them community heroes like GitHub, 37signals, Tilde, Google Open Source, SoundCloud… And we are humbled to be included in this amazing list as well! We raised $80,0000 in the first two weeks alone. We were able to accept 19 students into the program so far. That’s 9 more than the original goal which we thought was super ambitious already! We managed to organize for the students no less than 49 free tickets to some of the best Ruby conferences on 3 different continents with awesome speaker coaches like Chad Fowler, Caroline Drucker, Konstantin Haase, Patrick Huesler, to name only few. Sven has been working on getting RGSoC off the ground and the whole Travis team contributed - Konstantin is even a Mentor of the Team Inchworms, who work on Sinatra and he is very impressed. I, Anika, joined the Travis CI team in June (whoa!) not only to help organize and run the Summer of Code but also to help out with Community Management and start making a wonderful new Travis dream come true. We have the crazy idea of supporting even more of these inspiring projects in the Open Source Community. It’s now been two months since RGSoC started. Sixty days and it has already grown into a successful and widely beloved project! We couldn’t be more proud to be the main supporter and organizer of this initiative. We love making awesome stuff happen and RGSoC was and is an excellent opportunity for us to support a wonderful mission. To start to make Open Source even more awesome. Everybody - this is only THE BEGINNING! Check out the teams’ activity streams, read the Rails Girls Summer of Code Blog or follow the project on Twitter.